Ibérico secreto is a delicious tender and juicy cut from the Ibérico pig variety. With barely a two centimetre thickness, this popular 'Secret' (hence is name) Spanish cut is located behind the shoulder of the animal. 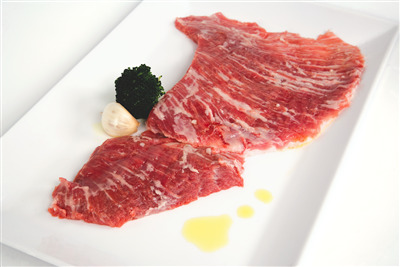 It has a beautiful marbling and pink colour with a silky texture and holds an important place in Spanish gastronomy.